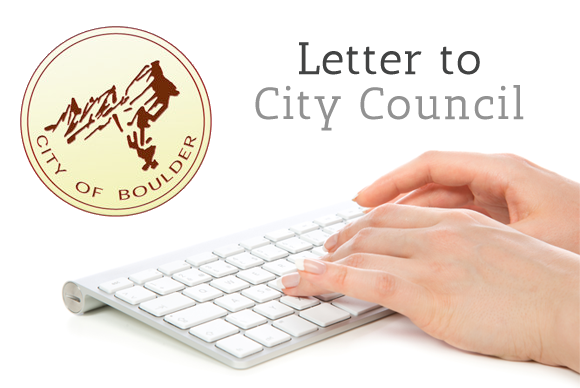 On behalf of Better Boulder, we are pleased to provide our input for your consideration in setting council’s 2018 priorities. Better Boulder supports sustainable urbanism in Boulder. We bring together members of the business community and environmental and social justice advocates to support changes to Boulder’s land use policies. We believe that more well-designed density, combined with a focus on sustainable transportation, can help Boulder meet many community goals – reducing carbon emissions, sustaining a dynamic economy, providing affordable housing, and providing a welcoming community for our young people and our seniors. While there are many important issues in our community, the most pressing is the crisis we face in housing. For the half of our community who rent, and the tens of thousands of people who work in Boulder but have no hope of living here, the effects are visible every day – in increasing rents, housing insecurity, and hours spent commuting. This is a crisis both of affordability, and of supply. The dramatic increase in housing prices has put owning a home in Boulder out of the reach of all but the very wealthy. But even if we could magically make housing in Boulder affordable, we would still face the fact that tens of thousands of in-commuters are excluded and locked out of joining Boulder’s residential communities due to our restrictions on adding housing. In order to truly be a welcoming, progressive and environmentally conscious community, we need to examine how our local land use and zoning rules are having unintended effects that hinder our policies of inclusion and our efforts to combat climate change. Our housing prices are, in many ways, a wall around Boulder. A community where workers can’t afford to live, and where tens of thousands of people are forced to commute many miles a day, is not a community living up to its ideals of inclusion and climate action. Thus, it is important to target strategies that both increase the supply of housing, and that target the creation of both permanently affordable and market rate relatively affordable homes for workers of all types. We have not yet taken action at the scale needed to address the housing crisis. The city has commissioned numerous studies, and convened public processes like the Housing Boulder efforts in 2014 and 2015, but has backed away from many of the recommendations in the face of loud opposition to new housing. Luckily, there is evidence that shows that a majority of Boulder residents support taking the steps necessary to make a dent in our housing problems. Two comprehensive plan surveys have shown deep support for building more housing in Boulder. In the most recent survey, strong majorities of respondents supported land use changes to allow more housing in industrial areas, the 28th-30th street corridor, neighborhood centers and residential neighborhoods. The support for infill to bring more affordability to residential neighborhoods is particularly encouraging. This is how ordinary citizens can play a role in making Boulder more welcoming and inclusive, allowing older residents to age in place, and in many cases allow allowing existing homeowners to bring in a bit of extra income to help pay their mortgages. Sixty-two percent of residents support allowing granny flats and backyard cottages, while only 30% oppose. Seventy-one percent support allowing duplexes as an alternative to large, expensive homes on single family lots, with only 17% opposition, and 73% support allowing cottage courts, with only 15% opposed. Move quickly on accessory dwelling units. This process is already underway; many other communities have led the way towards far fairer and more effective approaches to regulating ADUs, and surveys show strong support for liberalized rules. Key steps include legalizing existing ADUs; dropping parking requirements, and removing the arbitrary 10% cap. We were very heartened to read about the council discussion on oversized houses and the interest in addressing this by allowing lot splitting. We very much support the direction of allowing two or three small homes as an alternative to one giant home- and the BVCP survey demonstrates that a majority of the community agrees. Make the most of the opportunities along Broadway. Both the Alpine/Broadway site and the county site at Iris and Broadway offer the opportunity to bring significant amounts of affordable housing to a very expensive part of town – and an area that is well served by transit and has easy access to key employment areas like downtown and the university. Support the addition of meaningful amounts of housing to our commercial and industrial areas. There are large parts of our town east of Folsom that are dominated by low density commercial and industrial with large parking lots; these are real opportunities to add housing while making the areas far more appealing and less auto-dominated. While Better Boulder supports keeping the linkage fee at its current rate, we anticipate that the new council will raise the housing linkage fee. This may have the side effect of making housing development more appealing in these areas – as long as city zoning rules allow this to happen. So please couple any increase to the linkage fee with land use rules that enable significantly more housing in commercial and industrial zones. Please stop the aggressive enforcement of city rules that limit housing opportunities. Historically, the city used enforcement by complaint on issues such as occupancy and unpermitted ADUs. The new aggressive enforcement stance has the effect of throwing people out of their housing, exacerbating our affordability and supply problems, while in many cases there are no complaints or negative impacts from the homes being targeted. Be very careful in crafting the new housing board. While there are many important housing issues that deserve attention, it is important to realize that city processes have studied these issues multiple times. The problem has not been lack of input or lack of information, but lack of political will. Thus, we are not convinced that a housing board will help. However, if Council does move this forward, we urge you to make sure that the new board does not become another place where housing projects must be vetted, slowing down progress, or a place to replace the technical knowledge already used in allocating housing funds. We urge great caution on ideas that focus on using city funds to buy down the costs of existing homes. This is likely to be a very expensive approach to affordability and does nothing to address the lack of supply. While there may be a role for this approach, it should be carefully tested for cost-effectiveness compared to other strategies, given the limited amount of housing funding and staff time that is available.